Eric Siu is the Hong Kong-based new-media artist behind "Touchy", a human art project that aims to questions whether our umbilical relationship to technology will destroy our ability to maintain fulfilling human connections. 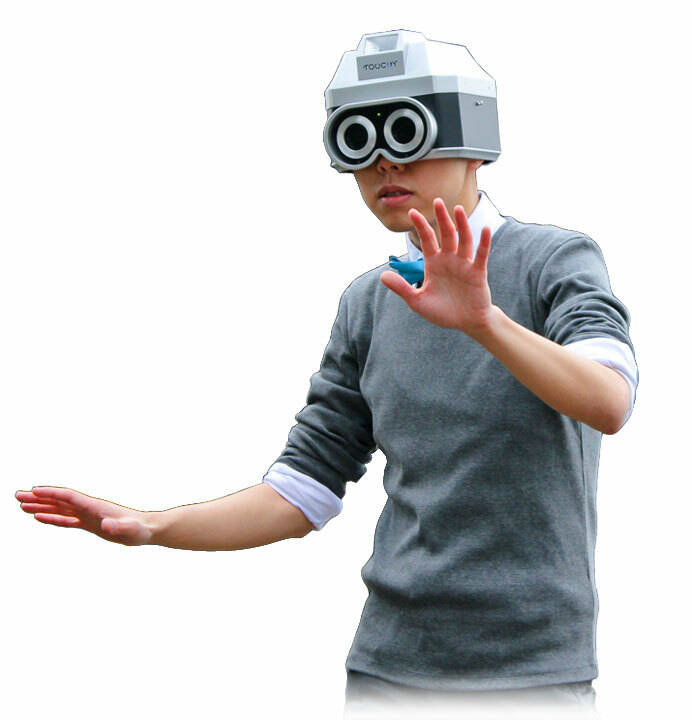 Siu designed the Touchy camera-helmet to respond to human touch by opening its two shutters, allowing the person wearing it to see out through the lenses. 10 seconds of sustained human-to-human physical contact triggers the camera to snap a picture, which is then displayed on the back of the helmet.